Lester is a lifelong fan of Mr. Crabtree, having been given the book as a 6 year old by his dad Bob. From a very early age Lester went fishing with him and his uncle Mike, catching the fishing bug and learning to fish. Bob and Mike were his Mr. Crabtree’s and as fantastic anglers who fished for all species, they gave him a great introduction to all types of fishing from all sorts of waters. He was lucky that he had great mentors and patient teachers in both of them and his old copy of Mr. Crabtree was never too far away from reach. On those days when he couldn’t get out to fish Lester could lose himself in the stories of Mr. Crabtree and Peter. Lester sadly lost his dad in 2006, they hadn’t fished together for a while, and, although he still gets an all too rare day out with uncle Mike, it was this loss and the impact these two very important figures had in his life that inspired him to bring Mr. Crabtree back to a new audience. Lester’s career has spanned producing TV programmes, and series, producing live music shows and large scale consumer and corporate events. He owns amongst many properties, The Legends TV football brand, The Last Days of Summer Music Festival and a host of TV sport, celebrity and music and live event brands. 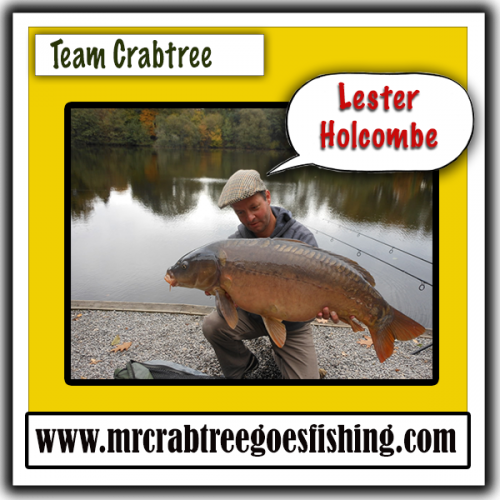 Lester is one of the founders of Mr. Crabtree Ltd, along with James Arnold Baker, and as Exec Producer of the TV series will be overseeing international distribution of the TV rights, DVD distribution, licensing, brand partnerships and live event aspects around Fishing in the footsteps of Mr. Crabtree.